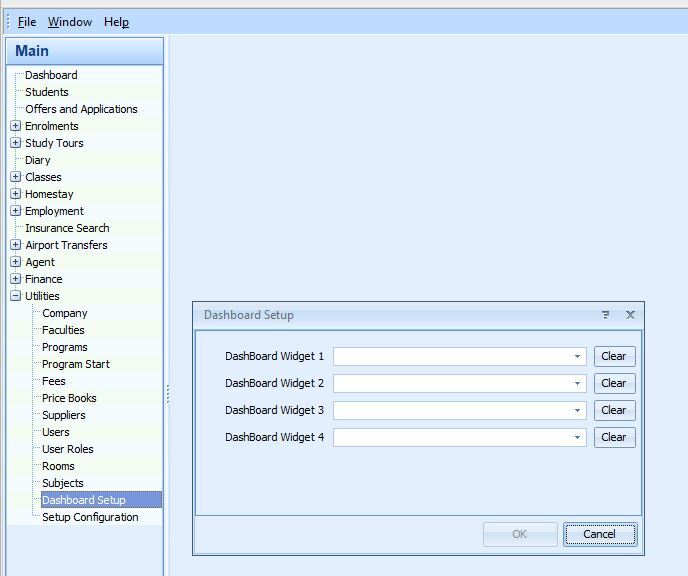 eBECAS can optionally be configured to display up to 4 dashboard widgets. Each user can select the widgets that they wish to see and can configure details for those widgets. You College database needs to be enabled to display the dashboard, and each user needs to have the option enabled. 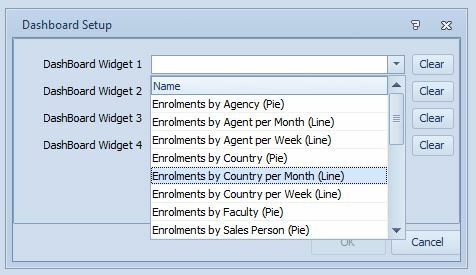 There are several groups of widgets concerning enrolments and offers by Agent, Country, Salesperson and Faculty by month and week. If you select only one Widget to display, the Dashboard panel will be filled with the one widget. 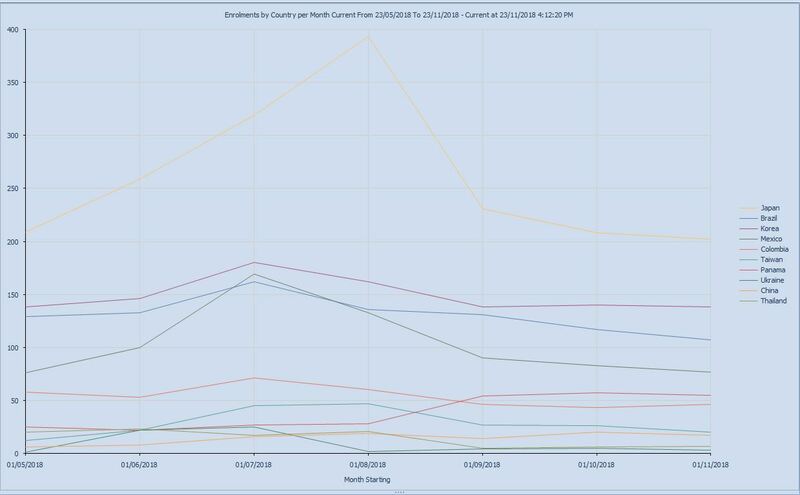 For example I have selected Enrolments by Country by month.